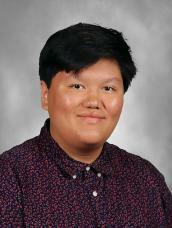 Kevin Le is a junior at Freedom High School. He was born in Tampa, Florida on October 9, 2001. It’s currently his second year being a part the newspaper staff. He loves hanging out with friends, video games, and adventure. Kevin’s main goals are to maintain straight A’s and go to college. Kevin still doesn’t know what he wants to pursue in life but hopes it’s making a lot of money doing something he loves. He has high hopes for this year and is ready to fake it till he makes it.